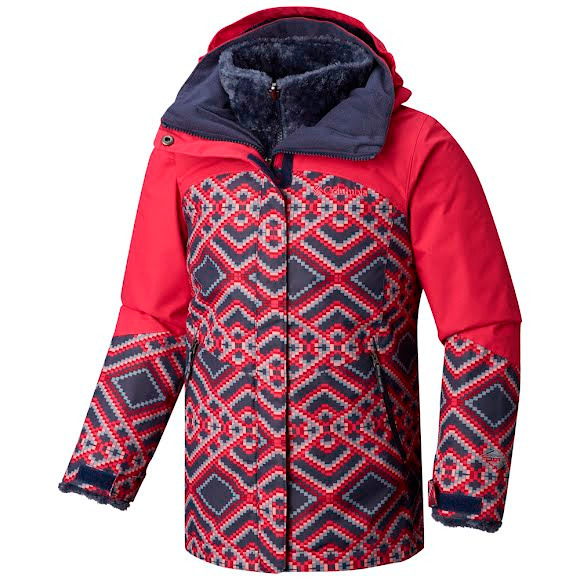 The Columbia Girl's Youth Bugaboo II Fleece Interchange Jacket is three jackets in one. Worn as two separate layers or zipped together in harsh weather, our classic ski jacket returns with three ways to protect. The soft fleece liner provides bonus warmth on chilly days with heat-reflective lining. The Columbia Girl&apos;s Youth Bugaboo II Fleece Interchange Jacket is three jackets in one. Worn as two separate layers or zipped together in harsh weather, our classic ski jacket returns with three ways to protect. The soft fleece liner provides bonus warmth on chilly days with heat-reflective lining. A waterproof-breathable, critically seam-sealed shell battles snow and rain without letting him overheat. And, our OUTGROWN™ system lets you extend cuffs as he grows for a coat to keep him warm and dry year after year.